Why Should I Donate to Finsbury Park Business Forum? We are looking for £400,000 per year to fund Finsbury Park Business Forum yearly activities! The Finsbury Park Business Forum is a business led and community focused, not for profit organisation. It is funded by The Public, Grants, Membership fees and Sponsorships. Finsbury Park Business Forum is very passionate about the business & residential communities including the unemployed. The Finsbury Park Business Forum has started a programme called Business and Community Wardens. These Wardens are unemployed people that will be placed in a work environment for up to one year in-order to equip them with work experience. They will be placed around Finsbury park Tube, Bus and Train station to help the public with travel and local information. They will also help with small items and trolley. The average time that each Warden will be on the programme is between 4 to 5 months. Between 200 to 400 Wardens at any one time will be on our programme. The Finsbury Park Business Forum is coming up with innovative ways to help those that are unemployed. Donations to The Finsbury Park Business Forum ensures that we can help businesses stay the course and the unemployed back into a good jobs. 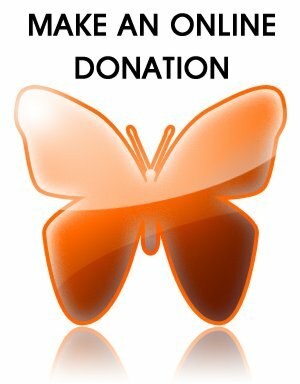 CLICK THE BUTTERFLY BELOW TO MAKE AN ONLINE DONATION! HELP US TO STAY THE COURSE, PLEASE DONATE WHATEVER YOU CAN!